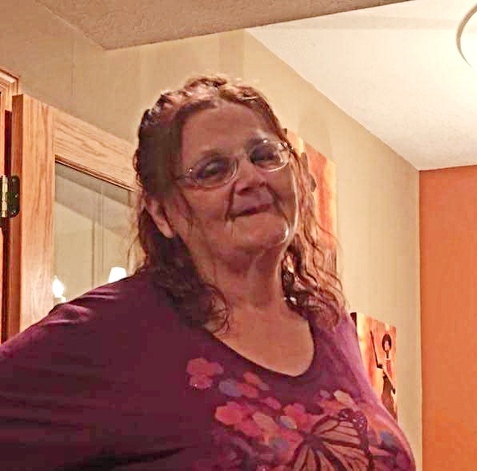 Florence “Flo” Thornsley-Hunt-Hayes, 68, of Newcomerstown passed away Monday, September 10, 2018 at her home surrounded by her family. She was born in Coshocton on August 6, 1950. Flo was a graduate of Ridgewood High School and worked as a Victim Advocate for domestic violence for the Harbor House and First Step. She loved to make crafts and sew; especially making blankets. She is survived by her fiancé, Johnny Redmond; daughters Carole Hunt, Rebecca (Jeff) Hoover, Nikita Hunt, and Mary Hayes; sons Robert (Patty) Grewell, Jack (Michelle) Hunt, and Willie (Jay) Hayes Jr.; mother Caroline (Phillips) Thornsley; grandchildren Chelsea King, Willow Walker, Justin (Chasity) Hughes, Cody (David) Hughes, Bridgette (Justin) Grewell, Tanisha Grewell, Cassie, Olivia, Lily, and Emily Hunt, JJ and Molly Hoover, and Sunshine Hayes; great grandchildren Mika and Leah Hughes and Hunter Opphile; sisters Donna Fadley and Mary (Dan) Helmick; and brother Walter Thornsley. Flo is preceded in death by her father, Walter Thornsley; daughter-in-law Rebecca Grewell; and brother Dean O. Thornsley. The family would like to thank Interim Hospice of Coshocton and College Park Home Health for their kindness and care for their mother during such a difficult time. Friends may call at the Miller Funeral Home, 639 Main Street, Coshocton, Ohio 43812 on Thursday, September 13, 2018 from 11:00am – 1:00pm with funeral services beginning at 1:00pm with Minister David Templeton officiating. Memorial contributions can be directed towards Interim Hospice of Coshocton, envelopes will be available at the funeral home.